Eating in the car grew in popularity in the 1950s with carhops, some on roller skates, delivering meals to people in parked cars. 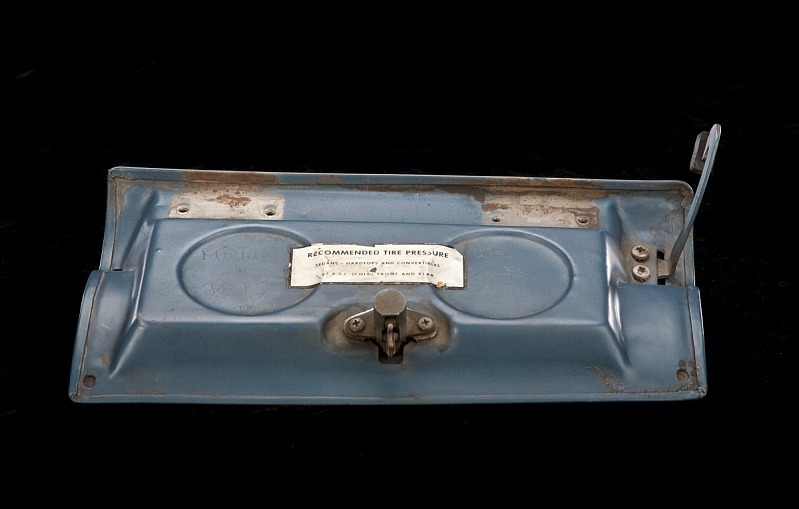 By the early 1960s, automobile glove box doors opened flat to support drinks. By the 1980s, with the rise of fast-food drive-thrus and long commutes, automobile manufacturers began to offer as standard equipment built-in cup holders that kept bottles and cups upright in moving vehicles. Popular Mechanics magazine showcased what is likely the earliest automobile cup holder. Making it possible to enjoy “travel snacks . . . while the car is in motion,” this innovation reflected a growing desire on the part of many Americans to eat on the go. The Ford Falcon Futura was equipped with a glove-box door that opened to provide shallow wells to hold drinks while dining at drive-in theaters and restaurants. 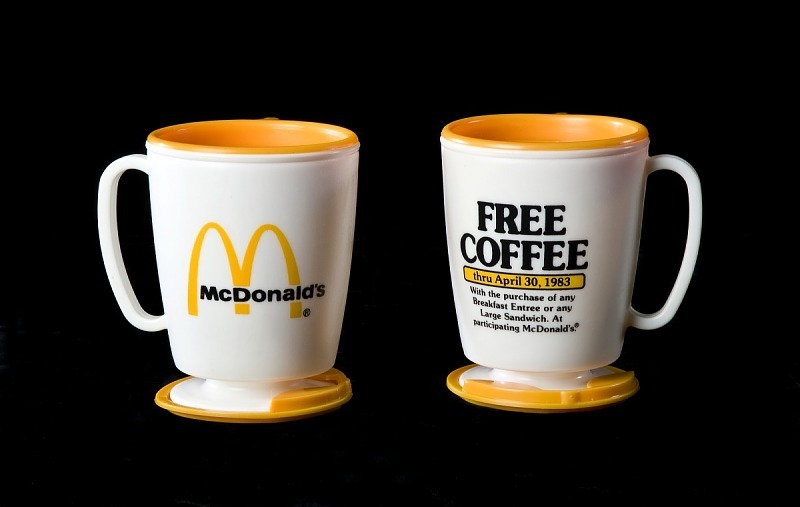 These plastic coffee mugs included a holder that could be taped onto a dashboard. The design predated the popularity of built-in vehicle cup holders. Gift of Carl Fleischhauer. 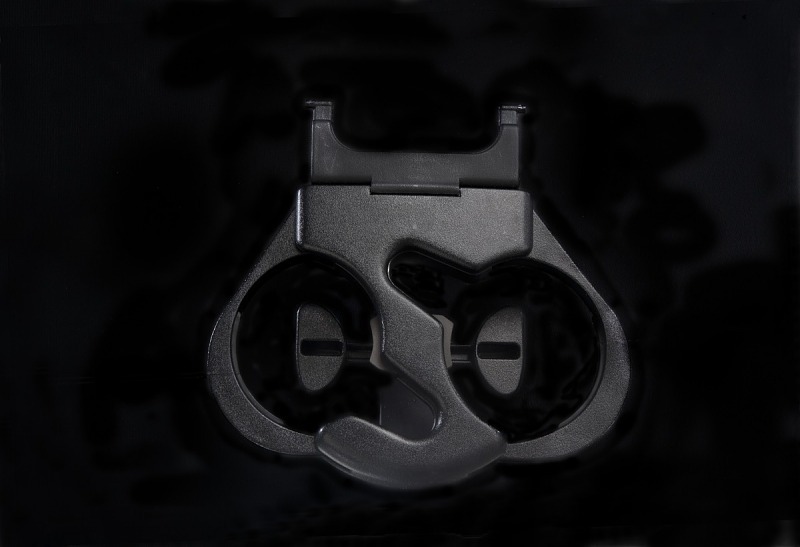 Installed in General Motors sedans including the Buick LeSabre, Oldsmobile Delta 88, and Pontiac Bonneville, this spring-loaded unit adjusted to different sizes of cups and bottles. The number and location of cup holders became an important selling point for American car buyers, who were consuming more beverages and meals on the go. The Chevy Venture Minivan included seventeen cup holders, at least two for every passenger.